Crystal Palace winger Wilfried Zaha has emerged as a surprise target for Tottenham ahead of the winter transfer window. According to the football transfer rumours in English Media, Tottenham are preparing a 29 million euros swoop for Crystal Palace winger Wilfried Zaha. 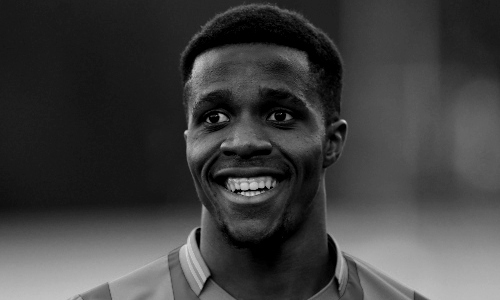 Wilfried Zaha has joined Crystal Palace from Manchester United in 2014. The Ivory Coast international has signed a five-and-a-half-year contract for an undisclosed fee. It was also included a buy back clause,believed to be in the region of 3.5 million euros, rising to 7 million million euros with add-ons. Manchester United will also receive a percentage of the fee if Crystal Palace sell Zaha. The 24 year-old has a valid contract with Crystal Palace until June 2020. Zaha has scored 31 goals and provided 47 assists in 242 games for Crystal Palace, including four goals and provided eight assists in 21 games in all competition this season. The Ivory Coast international has also represented England at Under-19 and Under-21 level, winning 15 caps across all age groups and scoring one goal. Wilfried Zaha has been target of Mauricio Pochettino as the manager looks to bolster his attacking options for the second part of the season, since the injury of Erik Lamela. It’s unlikely Crystal Palace would be open to selling Zaha in the upcoming transfer window, but Tottenham, who sit on third place of the Premier League, are a very attractive proposition for player like the Ivory Coast international. How strong that interest is and whether Tottenham will make a January move remains to be seen but it is certainly one worth keeping an eye on.